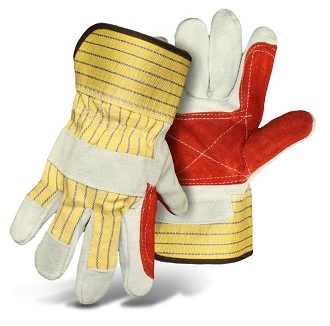 PRODUCT: Double Split Leather Palm Gloves with Rubberized Safety Cuff. Heavy Duty with Double-Palm-Leather. Large Size. Made by Boss Manufacturing # 1JL2392. Price/Pair.